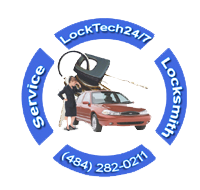 LockTech24/7 provides full automotive locksmith services to residents of Bethlehem PA.
We come to your aid within 20 minutes! Our mobile automotive locksmiths are standing on the highest quality of locksmith result. Thanks to the experts that works with us, ready stand-by, we can help you fast. In order to help you quickly, our locksmiths are ready to attend to any emergency situation within 20 minutes. We do our job fast and efficient to get you back on the road as soon as possible. Automotive locksmith services within minutes. When you deal with professional locksmith company, you deal with highly skilled locksmiths. Our 24 hour emergency car locksmith services include: an urgent car lock out, lost car key replacement and laser key cutting. As well as auto keys programming, and key fob / key-less entry replacement, and ignition switch repair / replacement. 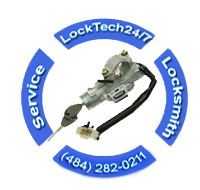 At LockTech24/7, you deal directly with the technician who is a highly experienced. We are are to meet any competitor’s price! You can never know when a sudden auto locksmith emergency might strike. But you can sure be prepared! Please insert our phone number (484) 282-0211 to your phone. By doing that, if you happen to have an automotive locksmith emergency services such as car lockout, or broken car key, call us right away. We are only one phone call away, don’t hesitate to call us. Our car lockout service in Bethlehem is one of the busiest service in a daily basis. 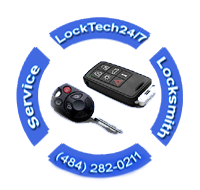 LockTech24/7’s team is here, ready for your call 24/7, and well equipped to unlock your vehicle’s door. Whether you drive a car or semi-truck, we can open your door in no time. With this in mind, whatever make and model is your car, we can open it for you. You can get easy time and effective way when you call us to get you back on the road. When you in needs automobile lock out service, you can turn to our team, and expect 100% satisfaction in the quickest and safest way. So, if you lock yourself out of your vehicle at 2 a.m, we’re ready to get you back on the road soon after you call (484) 282-0211. In most cases, you have a transponder key to your car. We expertise in car key made services for most makes and models. Call us 24 hours a day, 7 days a week, when you need us in the to replace your car keys. Be one of our satisfied customers, who take advantage of our services by hiring us to provide them with a new programmed key. Perhaps, when you need a locksmith to repair the ignition lock of your vehicle, you need one right away. And perhaps, you’re still considering what is your next step in the hope that you receive an easy and pleasant service. LockTech24/7 Bethlehem Locksmith is here for you. We will answer any question you ask us over the phone. We are here to help you, wherever you are in Bethlehem,and the Lehigh Valley. And whether we need to repair your ignition, or replace it. Our 24/7 service will get you back on the way to your destination as quick as possible. We stock variety of ignitions locks for most popular cars. Feel free to contact us when you need us to do the hard work. Car ignition locks are often go out on quite a few types of automobiles. We are able to provide new ignition locks on site for several vehicles. Our ignition replacement service is priced better when you compared with car dealership or another locksmith. Not to mention, we can take car of your ignition problem a lot quicker.